Write an acrostic poem describing this airship. What adjectives might you use? Who is on the ship? What is the purpose of the journey? What is the cage for? Why is there a church on the ship? What is your favourite detail on the ship and why do you like it? 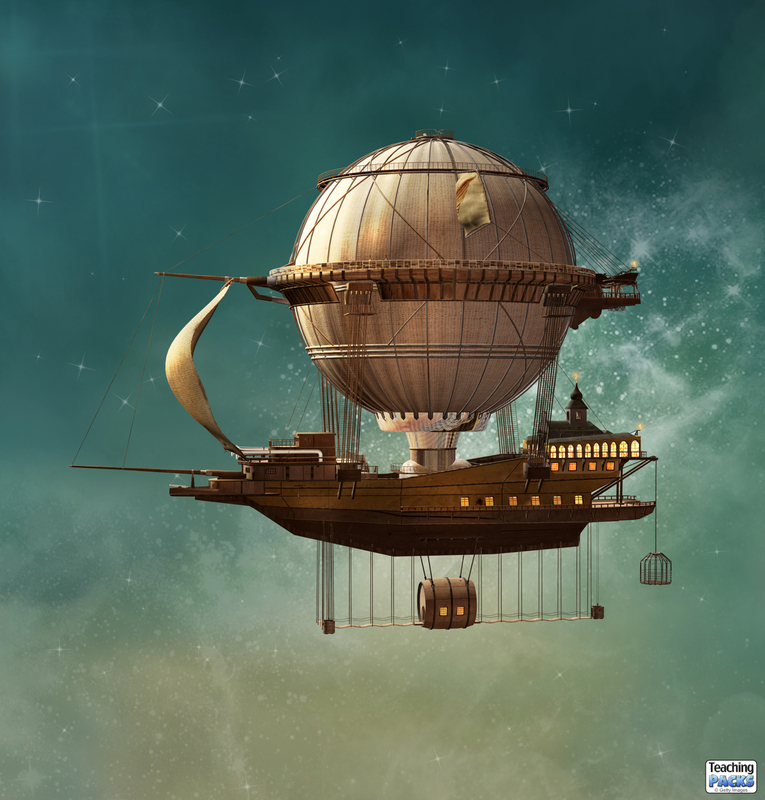 Use this Kiddle page to research a fact file about the history of airships. Design your own airship. There is a useful template in this pack of resources for teaching Cogheart and Moonlocket by Peter Bunzl. Imagine that you are an inventor and you have designed this ship. Write a persuasive letter to ask someone for money to build it. What would you include to convince them?